Crows punctuate our lives like dark exclamations. They land and watch from fence post, rooftop, and field. Their occurrence brings a form of awareness. Whether they appear as sentinels for those areas we may feel reluctance to peer into or as spectres of the unexpected, they embody the harsh and the beautiful, evoking the recurring moments of our lives. This collection, interspersed with its metaphorical black birds, looks also to summon such moments. Ron Houchin, a retired public school teacher in the Appalachian region of southernmost Ohio, taught for thirty years. Though raised on the remote banks of the Ohio River in Huntington, West Virginia, he has travelled throughout Europe, Canada, and the U.S. His work has appeared in Poetry Ireland Review, The Stinging Fly, The Southwest Review, Appalachian Heritage, The New Orleans Review, and over two hundred other venues. He has been awarded an Ohio Arts Council Grant for teachers of the arts, a tutorial fellowship to teach in a Dublin writing workshop, a poetry prize from Indiana University, as well as a book of the year award from the Appalachian Writers' Association. His poems have been featured on Verse Daily. He has published three collections with Salmon Poetry. under a forecast of rain. suggests a black and grey memory. light from the bones of day. the loose feather frozen in numb light. Reviewed in Books Ireland No 316, November 2009. 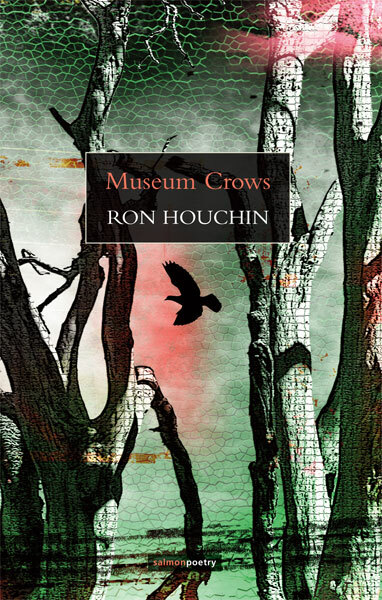 Ron Houchin has received many awards for his poetry and has been published extensively in Ireland and the United States. He was raised on the banks of the Ohio river in Huntington, West Virginia, and taught in the public school system in the Appalachian region of southern Ohio for over thirty years but managed to travel through North America and Europe as well. He knows Ireland particularly well having taught in a poetry workshop in Dublin. Many of his poems reflect the American landscape and experience, such as the Vietnam war evoked in the poem Burning. Like many poets some of his poems have a personal resonance and evoke the everyday. Cooking in particular is a feature throughout. Crows have had a place in the culture of all peoples and have a symbolic role in folklore, myth and drama. Houchin makes us aware that crows are everywhere, sitting on fences, peering down from the telegraph poles or swaggering around the back yard. He sees them as sentinels and punctuation marks in everyday life. In the title poem, the dead, stuffed crows behind glass in a museum trigger memories of living crows and what they signify to him.